I have recently been rocking yellow nails and have been asked how I got them to be so bright without having to apply 50 layers. Just like my eyeshadow, I use a white base when I really want a color to be more bold. 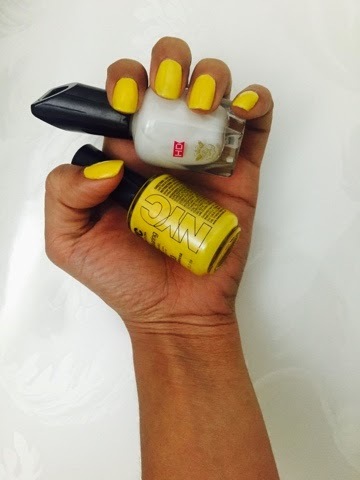 I start with a clear base, apply white nail polish, then I follow with the yellow or color of my choosing. Not only does the color appear more bold,but it also looks smoother. What are some your favorite colors for summer? Next Next post: SOLE SERUM: worth the money?